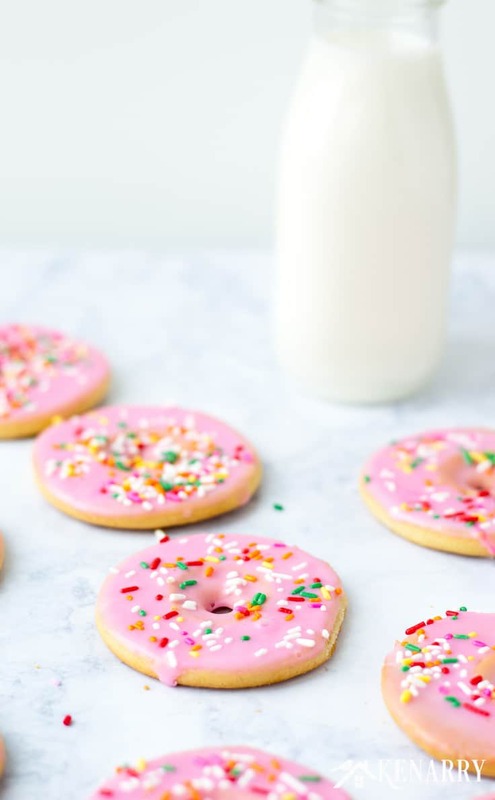 Create a fun dessert with the kids using this easy recipe for frosted Donut Cookies made from sugar cookie dough. Topped with sprinkles, these cookies are a great party treat! Hey there! 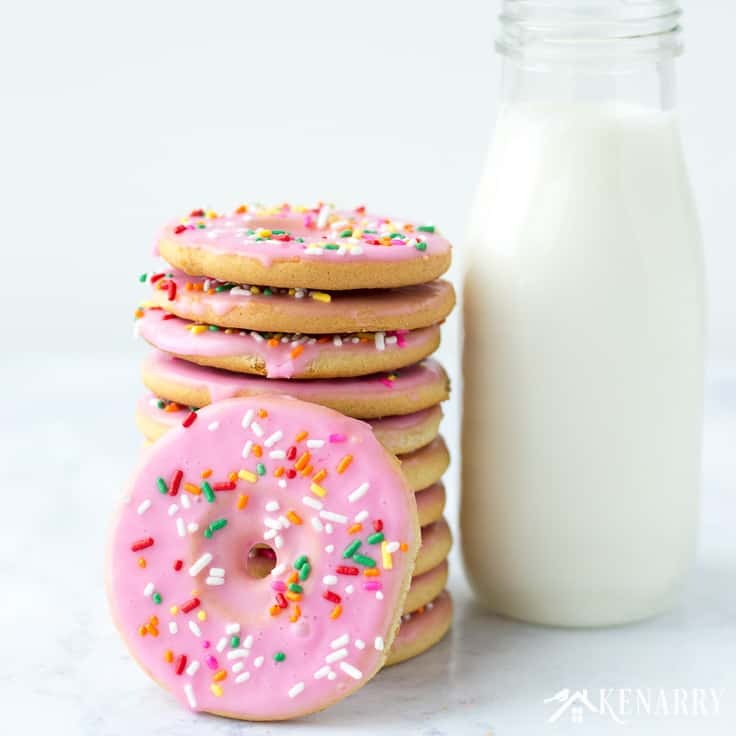 If you’re looking for a fun super fun dessert you can make with the kids, you’re going to love this easy recipe for frosted Donut Cookies. 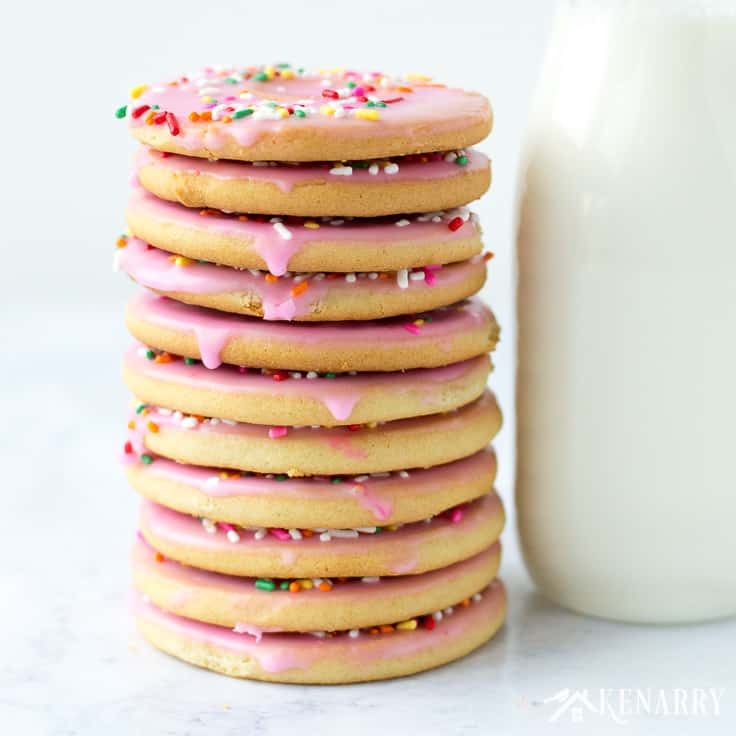 It uses regular sugar cookie dough to keep it simple and then you just top the cookies with sprinkles. These cookies are a delicious and festive party treat you can make for birthdays, Easter or to celebrate spring! Both my birthday and my husband’s birthday are coming up very soon. So this time of year is considered birthday season in our house. With Easter and the start of spring coming up too, there’s just so much to celebrate right now. I don’t know about you, but I personally think every celebration is better when you have fun food covered with festive sprinkles. So I was thrilled when my good friend, Meaghan at Cook. Craft. Love. brought over this delicious recipe for Donut Cookies to share with us. Meaghan is an absolute whiz when it comes to easy cookie recipes like her Slice and Bake Rainbow Sugar Cookies, her Soft Maple Cinnamon Sugar Cookies or her Potato Chip Cookies. 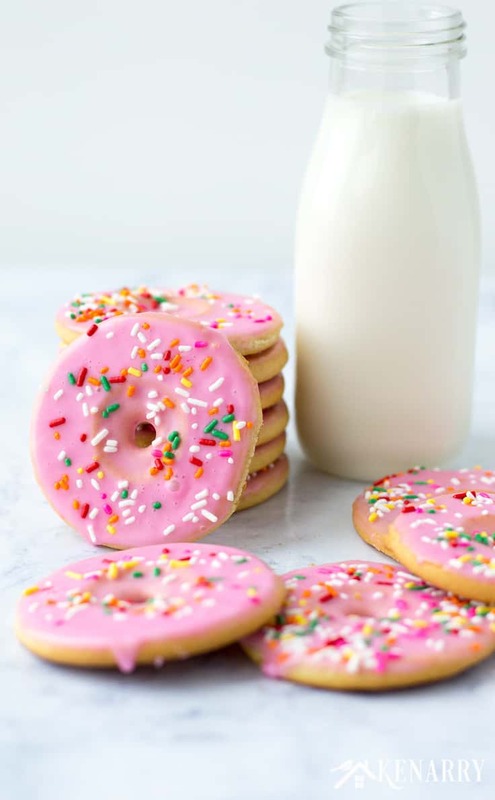 She told me the idea for these Donut Cookies came about one day when she was really craving donuts but was feeling way too lazy to actually make them. 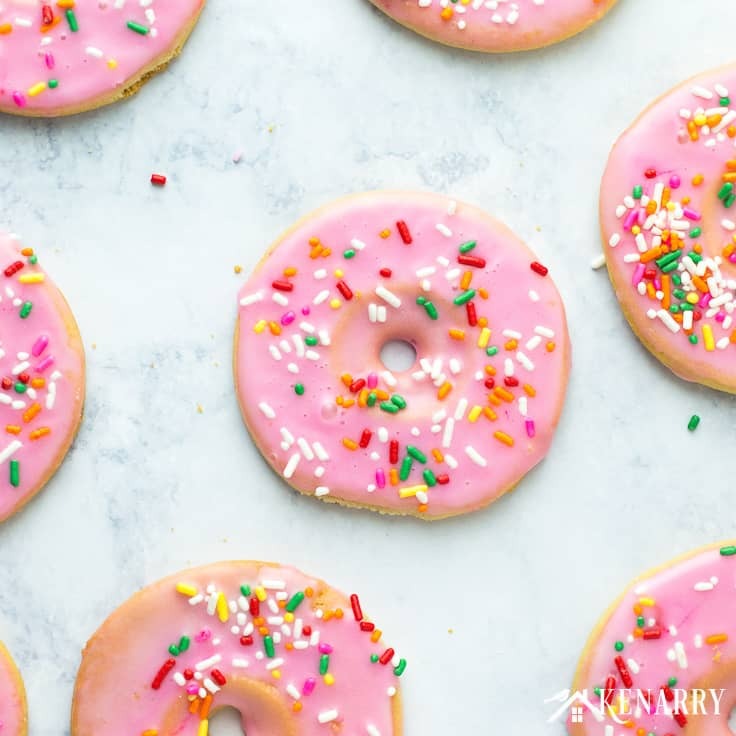 Instead these Donut Cookies are a super easy slice and bake cookie, which means you don’t have to roll out the dough or use cookie cutters. 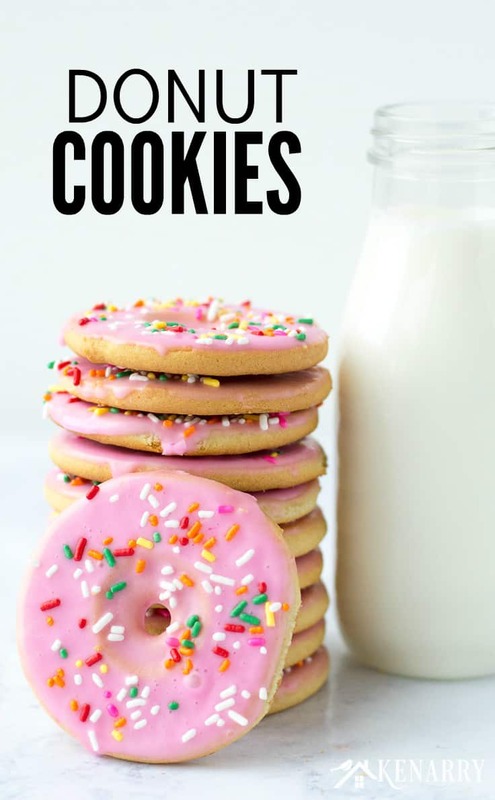 But my favorite part is, you can make the Donut Cookies with the homemade sugar cookie recipe Meaghan gave me (see below) — OR better yet, she says you can just use store bought sugar cookie dough! Also, these Donut Cookies are dipped not decorated with royal icing which makes them even easier. Meaghan even suggested this would be a really fun thing for the kids to make for “brunch” – don’t tell my boys! LOL! 1. Prepare the cookie dough. Get out your stand mixer and insert the paddle attachment. Put the butter and sugar in the bowl of the stand mixer and combine them until they’re creamy. Then mix in the egg and vanilla. Every so often, scrape down the sides of the mixing bowl with a spatula. Slowly sift in the flour and salt. Mix the cookie dough batter just until the ingredients are combined. Be careful not to over mix. 2. Form the cookie dough. Form or roll the cookie dough into a log that is roughly 2 inches in diameter. Wrap the cookie dough log in plastic wrap. Then refrigerate the dough for at least one hour or until it’s chilled enough that you can slice it. 3. Slice the sugar cookies. At this point you’re going to want to preheat your oven to 325 degrees. Once the oven is going, remove the dough log from the refrigerator and put it on a cutting board. Using a sharp knife, cut the cookie dough into slices that are about 3/8 inch thick. Lay each slice on a baking sheet evenly spaced apart. 4. Turn the cookies into donuts. Use a cupcake corer or the back end of a large piping tip to cut a hole in the center of each Donut Cookie. You really want the hole in each sugar cookie to be bigger than you think it needs to be. The Donut Cookies will spread in the oven since you’re not chilling them like you would cut out cookies. The holes WILL shrink as the cookies bake. Meaghan says the dough from her cut out holes didn’t survive their removal from the piping tip. 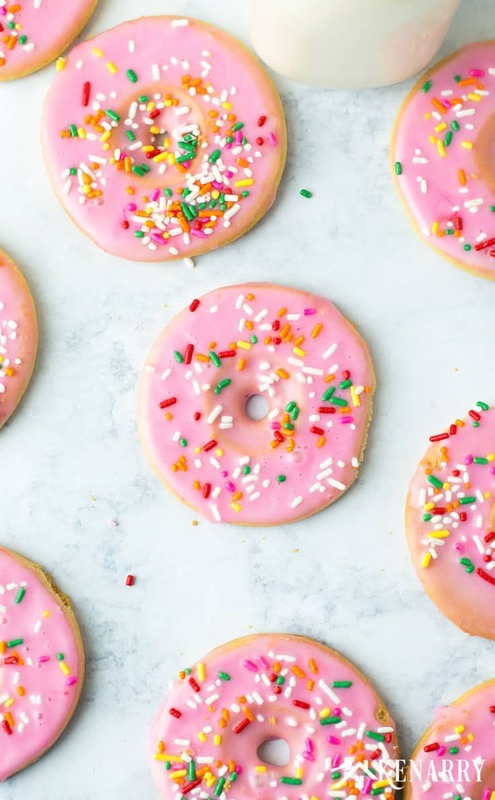 But if yours do, bake them up and serve them as donut hole sugar cookies for an equally adorable treat! 5. Bake the Donut Cookies. Bake the Donut Cookies at 325 degrees for about 11 to 13 minutes. You want the edges of the Donut Cookies to be golden brown. Once you take the sugar cookies out of the oven, immediately transfer them to a cooling rack to cool completely. To decorate the Donut Cookies, mix the powdered sugar and milk together in a small bowl until you reach a honey-like consistency. You want the icing to be thin enough that you can dip the cookies without breaking them. But be careful that the icing isn’t too thin or it will run all over the place. Next add the gel food coloring, until the icing is your desired shade of pink. 7. Decorate the Donut Cookies. Place a sheet of parchment paper under your cooling rack to catch any drips. Once the sugar cookies are completely cooled, dip each one into the icing. Allow the excess icing to drip off for a few seconds. Then place the Donut Cookie icing side up on your cooling rack. Poke the hole in the center of the Donut Cookie with a toothpick so the icing doesn’t settle there and decorate it with sprinkles. Serve the Donut Cookies with a tall glass of milk and enjoy! In the bowl of a stand mixer fitted with a paddle attachment, cream together the butter and sugar. Mix in egg and vanilla then scrape down the sides of the bowl. Sift in flour and salt. Mix until combined, being careful not to over mix. Roll dough into a log that is roughly 2 inches in diameter, wrap in plastic wrap, and refrigerate for at least 1 hour or until it's chilled enough that you can slice it. Preheat oven to 325 degrees. Remove the dough log from the fridge and cut it into slices that are about 3/8" thick. Lay on a baking sheet and using a cupcake corer or the end of a piping tip cut a hole in the center of each cookie. Make sure the hole is large because it WILL shrink in the oven as the cookie spreads. Bake at 325 degrees for about 11 to 13 minutes or until edges are golden brown. Immediately transfer to a cooling rack to cool completely. To decorate mix the powdered sugar and milk together until you reach a honey-like consistency. Add gel food color to your desired shade. Place a sheet of parchment paper under your cooling rack to catch any drips and dip the completely cooled cookie into the icing. Allow the excess to drip off for a few seconds and then place it icing side up on your cooling rack. Poke the hole in the center with a toothpick so the icing doesn't settle there, and decorate with sprinkles. Right before you put the Donut Cookies in the oven, sprinkle cinnamon and sugar on top. Then you can skip the icing altogether! 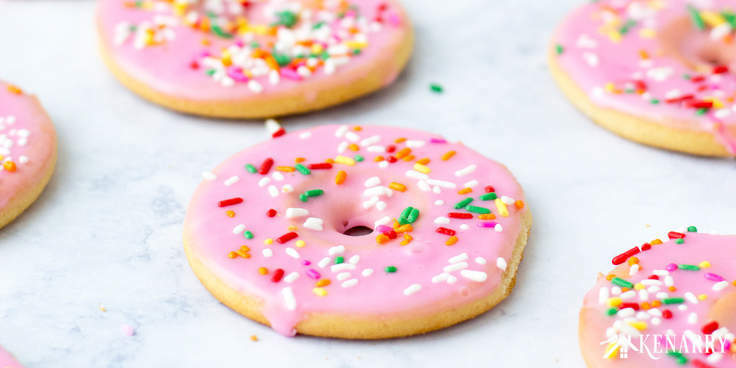 Use other colors of gel food coloring or sprinkles to give the Donut Cookies a completely different look. Put the Donut Cookies in small cellophane bags to use as birthday party favors, teacher appreciation gifts or as treats for friends and neighbors. 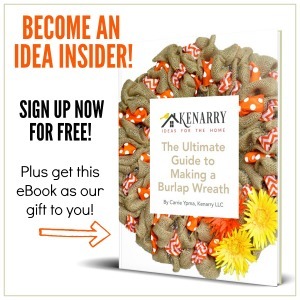 Tie the bags closed with curling ribbon and attach one of our free printables. How else would you decorate or serve these Donut Cookies? Please comment below and share. We’re always looking for new ideas! You have salt in your ingredient list but it’s not mentioned in the instructions. I left the salt out due to this and I’m not remaking them. Hope they still turn out good. Great catch Debora! We’re so sorry for the oversight. We just updated the post to include salt in the instructions. You would add the salt at the same time you add the flour — but no worries, your cookies will be delicious even without the salt! Let us know how they turned out!